This week we continue our focus on TDI projects in South Sudan and introduce you to Arnel. Arnel has a dual role with TDI in South Sudan as a qualified Veterinary Technician and Dog Handler. Arnel has worked for TDI since 2017. He initially joined TDI as a handler but progressed to assisting with the veterinary post. He monitors the TDI dogs and their relationship with their handlers, ensuring that they are fit to work. He assists with IV and IM administration as well as all surgeries that take place. 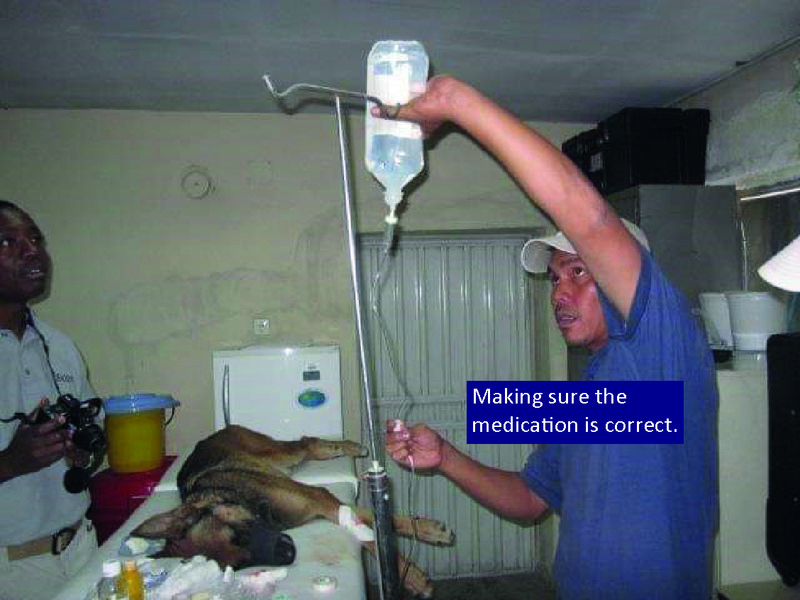 While working on clearance tasks with the dogs, Arnel can provide the correct first aid treatment should an emergency arise due to his veterinary background. Born in the Philippines, Arnel is the youngest of ten children. After graduating university, he eventually decided to join his country’s air force. Following his initial training, he was assigned to the elite air force division, the 710th Spow. He was then appointed to the K-9 unit of the air force and underwent further training for Basic Obedience and a Handler’s Course for Narcotics Detection Dogs and Explosive Detection Dogs. 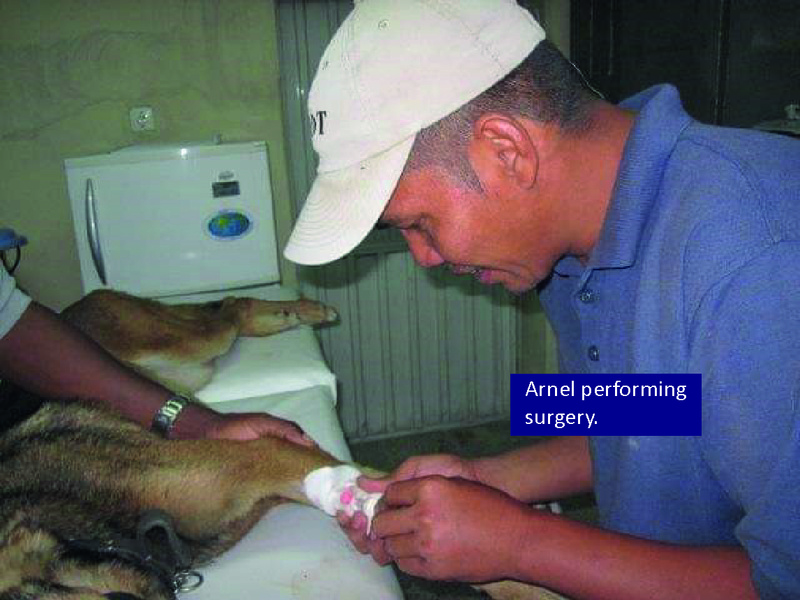 It was during his training at the K-9 unit that Arnel began to explore the field of veterinary. He spent his free time assisting his Commanding Officer at the veterinary clinic while learning the basics of this field. During his career, Arnel spent time working as a Dog Handler in Afghanistan. While based there, he was told that he had the potential to become a veterinarian due to his tenacity as a handler. Enthusiastically, he pursued this field further and trained in Basic and Advanced Veterinary First Aid, qualifying as a Field Veterinary Technician. Arnel is always willing to take on challenges and believes in continually developing his knowledge and qualifications.